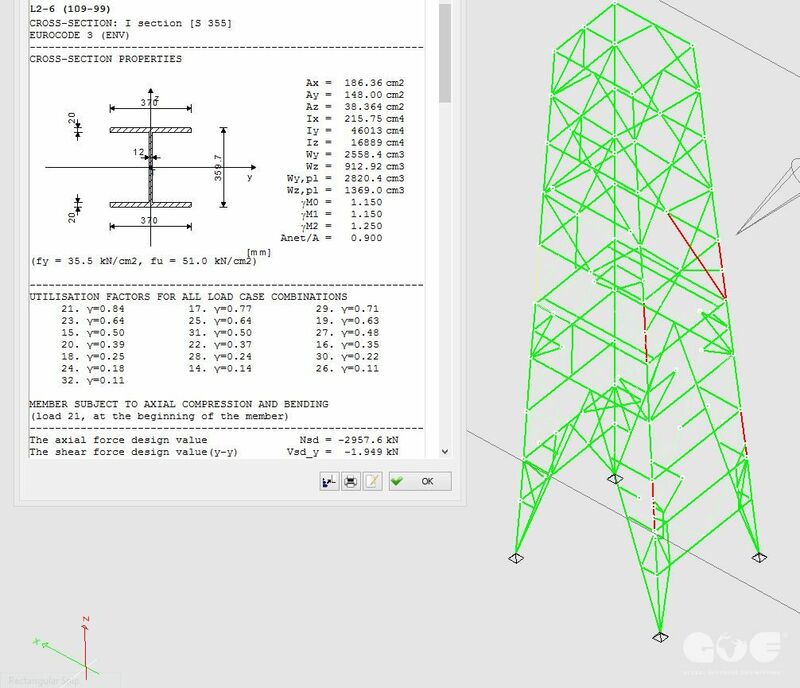 As per client request GOE was entrusted with structural analysis to determine possibility to upgrade existing derrick structure from 1M to 1,3M lbs on DP DS “Deep Venture”. 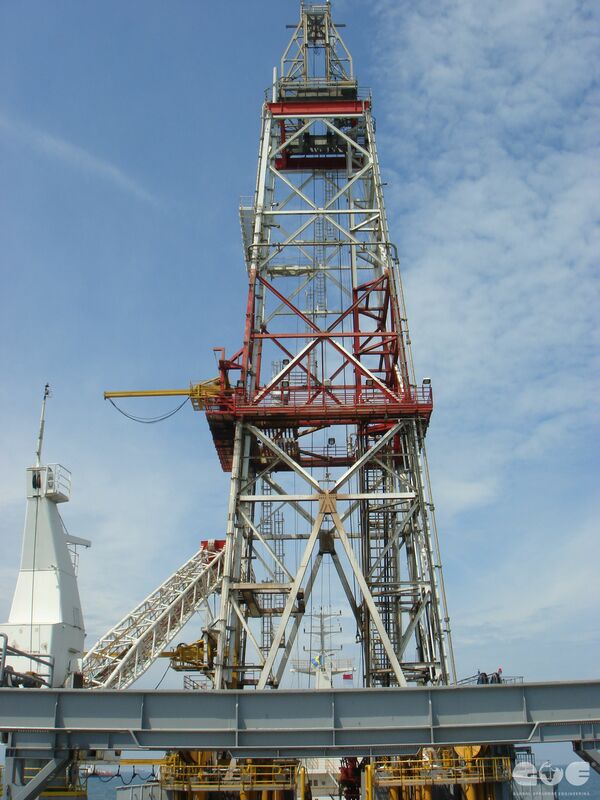 Derrick structure was built back in 1980 by Rauma Repola shipyard as per Dreco Houston license. 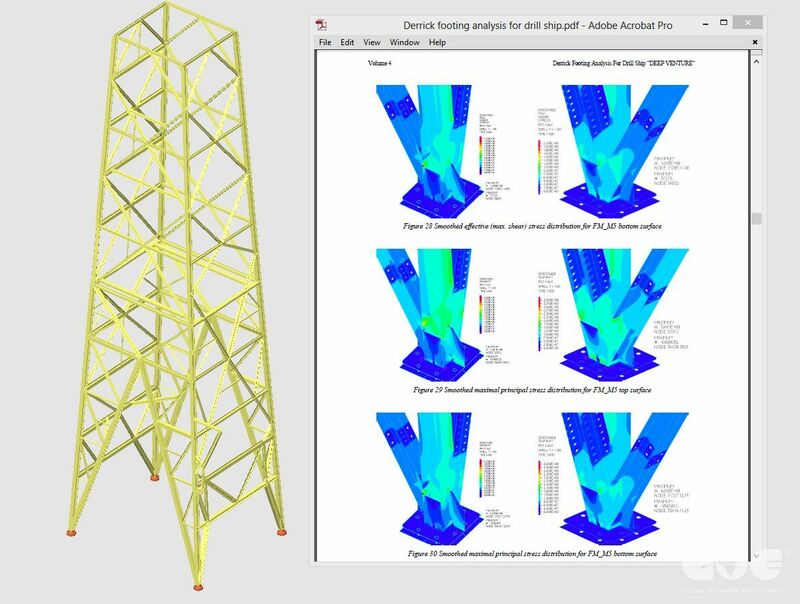 First structural survey showed that derrick was in satisfactory condition with no major defects or breakdowns. After detailed examination of documentation it was concluded that substructure and derrick were suitable for this kind of upgrade. 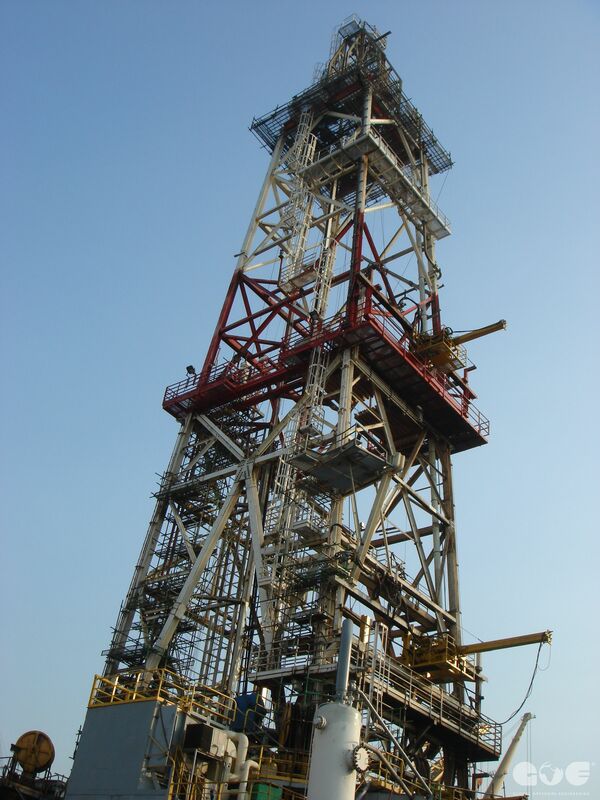 As requested project documentation was to be made to meet very strict DNV OS-E101 offshore standard. 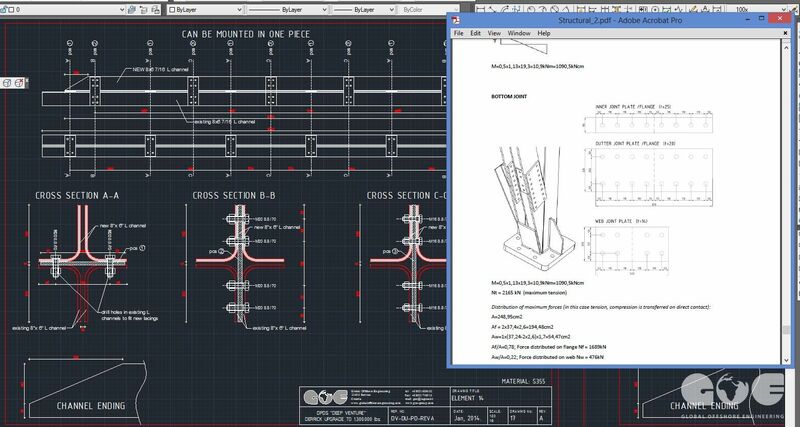 Detailed measuring of the structure was required because there was major deviation between available drawings and “as built” state. 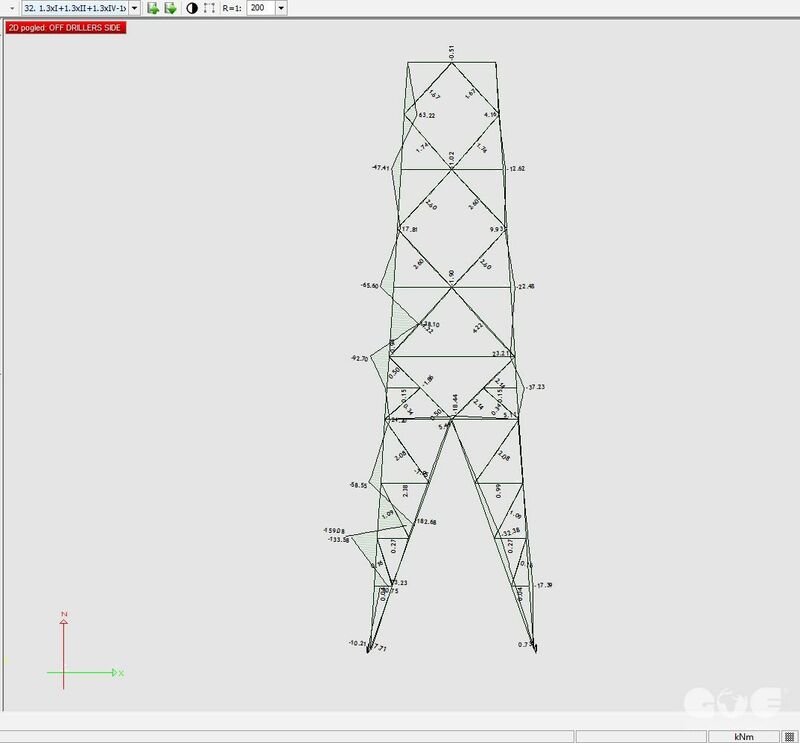 Entire derrick structure, including all joints had to be surveyed in order to be able to present current condition to DNV. Capacity calculation was done adopting Eurocode 0, Eurocode 1 and Eurocode 3 standards recognized by DNV. 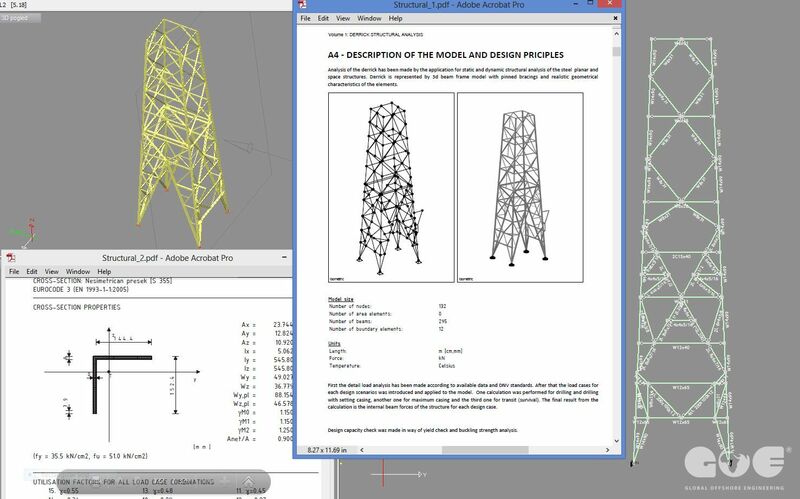 As preliminary calculation resulted with moderate but feasible structural reinforcement derrick upgrade project was continued. 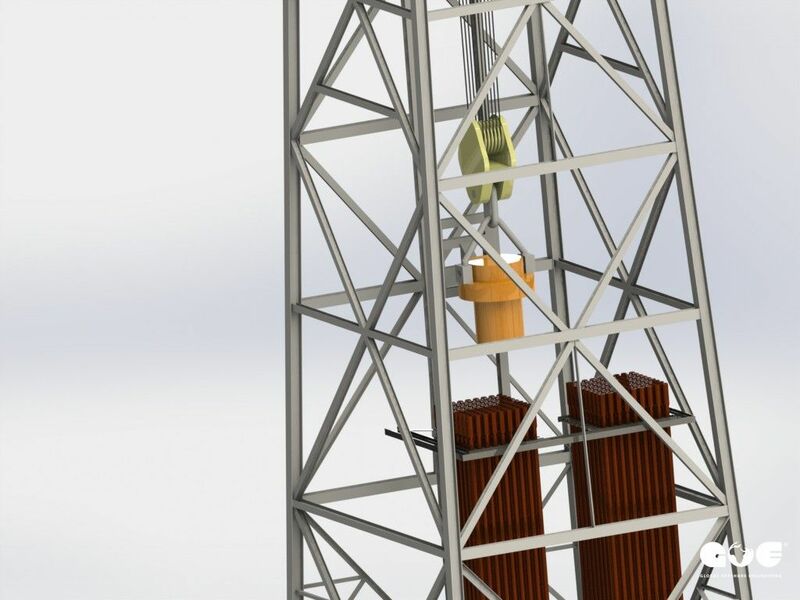 DNV requested detail fatigue analysis of the derrick taking into consideration age of the structure it was necessary, first to investigate complete vessel history. History was transferred to loads and load cycles over the previous years of usage. 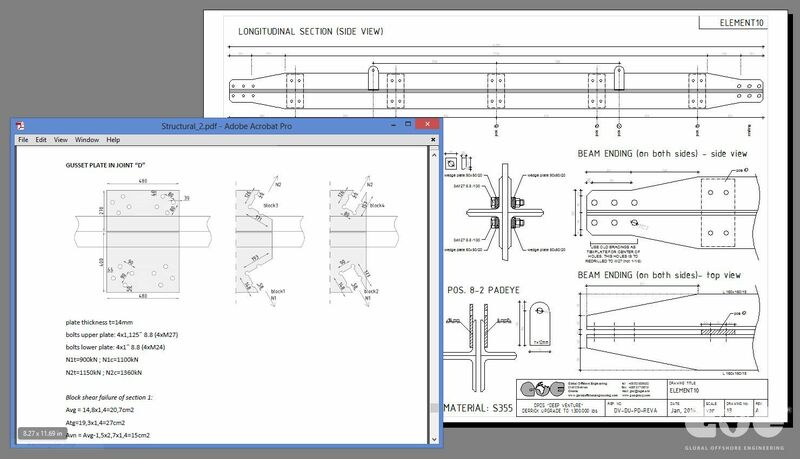 After fatigue analysis was completed, design had to be reinforced with some construction details reducing fatigue stress, this analysis granted additional 20 years of usage with survey interval required every 5 years. 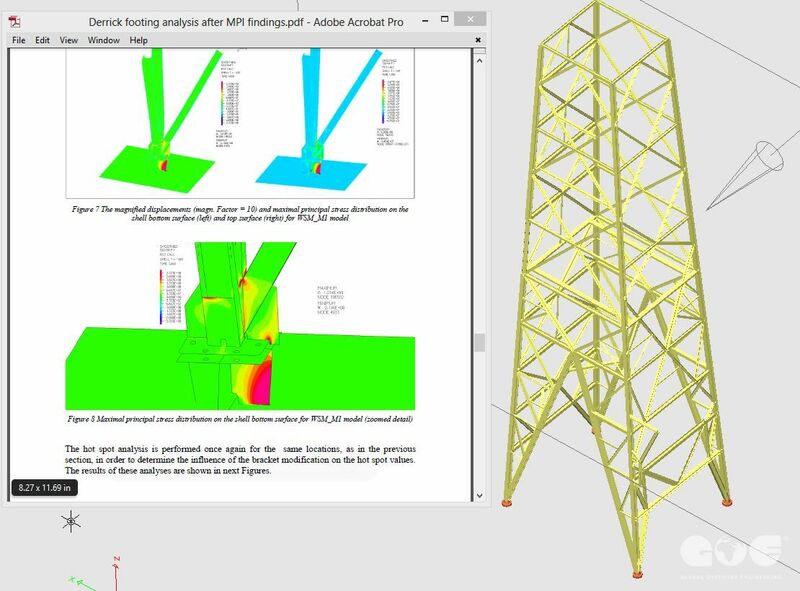 Additional challenge was that NDT of derrick footing showed severe cracks, improved design was required to prove to DNV that reason for this findings was due to bad design not fatigue stress of material. All surveys, design and calculations were performed by our in-house engineers while for very demanding fatigue analysis we worked in cooperation with recognized experts from automotive industry. 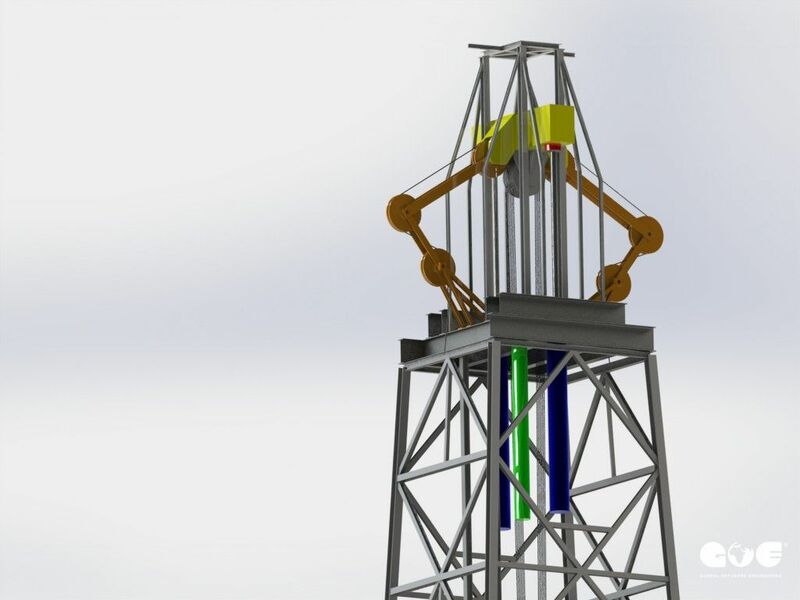 This cooperation resulted in final DNV approval of the design. 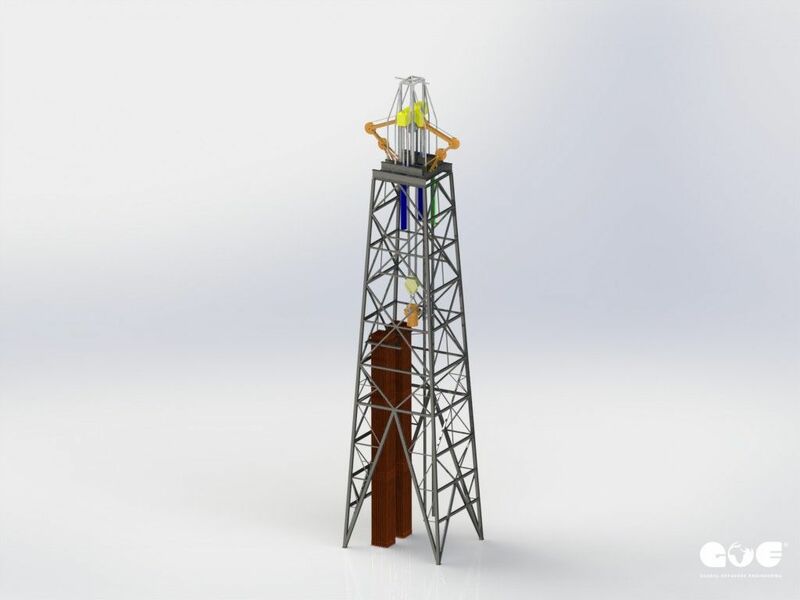 From what we know this was the first DNV approval for the substantial derrick upgrade on drillship with age above 30 years.